Witney Vikings Warriors U7′s have come out on top at the latest Cup Tournament held at Carterton FC on 22/09/13. 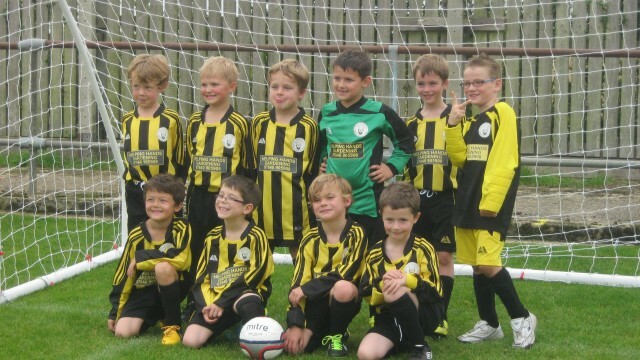 Warriors U7′s were teamed up against Carterton U7′s, Stonesfield Strikers U7′s and Witney Vikings U7′s. Warriors U7′s won all 3 games scoring 9 goals and only conceding 2 throughout to finish as group winners for which all 10 players were presented with a winners medal. Both Vikings Teams played very well and it is clear to see that we have a strong group of U7 players coming through at the club, both teams represented the club in a fantastic manner and did the club proud. A great day was had by all and a massive well done to all teams that played in the Cup Tournament.